Depend on the industry’s leading microbiology expert, Thermo Fisher Scientific, to find the right solutions to optimise your workflow for Pathogen testing. With products which are designed with the highest degree of sensitivity and specificity to guide quality care. With timely and accurate results, you can effectively support patient well-being and satisfaction. Biochemical, Immunological, Immunofluorescence or Enzyme Immunoassays, the choice is yours. From enterococci to staphylococci, biochemical tests provide simple and rapid identification of even the most unusual organisms. Explore our range of biochemical identification test products and choose the right tool for your microorganism identification needs from accurate, simple and convenient biochemical spot tests, stains, and ID panels with supporting software. Detect antigens and antibodies with traditional latex. Find your identification and confirmation solution from one of the largest portfolios of latex agglutination products in the world. With a wide range of organisms and organism types, you can find solutions that test from human and food samples, blood culture, and colonies isolated on plated culture media. 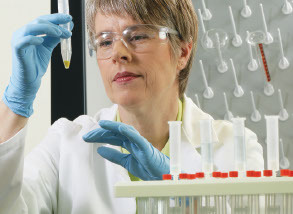 Depend on the industry’s leading microbiology expert, Thermo Fisher Scientific, to find the right solutions to optimise your workflow for Pathogen testing. With products which are designed with the highest degree of sensitivity and specificity to guide quality care. With timely and accurate results, you can effectively support patient well-being and satisfaction. Have confidence with reliable, easy-to-read results. IMAGEN™ products provide comprehensive, fast, and reliable testing in a direct, immunofluorescent format. Reduce steps and save valuable laboratory time with direct immunofluorescent tests and ancillary controls and reagents to detect and confirm the presence of chlamydia, enterovirus, influenza A and B and respiratory syncytial virus (RSV) and utilise this rapid method for typing of herpes simplex virus (HSV 1 and HSV 2) in cell cultures.